It may seem that going from dark hair to light is the biggest and most challenging process and that the reverse is easy as pie. Think again. Going from light to dark is just as big of a challenge as from dark to light, but in a much different way. When you bleach your hair, you are essentially stripping the follicles of all their color, leaving them exposed and much more porous, causing irreversible damage while the upkeep can be a big effort and cost. The concept of going dark when you have lighter hair may seem like a cinch; you buy boxed color from the drugstore that seems to match what you are looking for, go home, and BAM … you are a fabulous brunette. Unfortunately, it does not work that way and is not nearly that easy for if it were, all salons would be out of business. There are several factors to consider when darkening your hair, for example: has your hair been chemically treated recently? 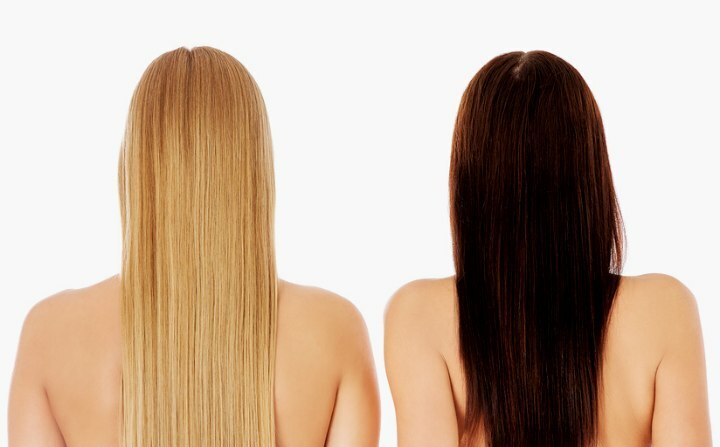 Are you a natural or unnatural blonde? What type of skin tone do you have? The color of your eyes play a big part, as well. Do you want to go super dark or just a light brown? All of these issues must be considered before you take the leap, which can be a very exciting one. Again, this is something that cannot be taken lightly, no pun intended. As with lightening your hair, you should have a couple of darker shades in mind, just so that you know what you want to present to the stylist. Yes, you will want to go to a stylist to make this transformation as this process can go array upon trying it at home. Go over to your local wig shop or use online hair software and try on a few different hair colors, varying from lighter to darker and snap some photos to help you decide which one will be the best look for you. Now that you have done that, it is time to contact you stylist to prepare to go to the darker side. Going dark has many advantages such as making your eyes pop, a daring attitude will emerge, and it will accentuate your skin tone. That is why you need a professional to make sure that you get the proper shades. If your hair has been previously processed, especially bleached, the ends of it will not absorb the darker colors the way that the rest of your hair will and it will be a hot mess. Green and gray tones could be the end result of home coloring because bleaching can cause transparency at the ends and will most often lead to an uneven overall color that will require even further color modification. Much like bleaching, dark colors contain a certain chemical (PPDA/pPD, also known as p-phenylenediamine) that can cause an allergic reaction to both the scalp and the skin. Your stylist will want to do an allergy test on you pre-coloring. This will ensure that you do not end up extremely uncomfortable. But remember, allergic reactions are quite common which is why it is best to find out before you cover your whole head with dye. To achieve the right level of darkness that you desire, this could be a two to three step process, the stylist will start with applying a colored protein filler or demi-permanent hair color, in a shade that has either gold or red tones. In the color spectrum, reddish tones are in the middle so this is where your stylist may begin. Even on virgin hair the stylist needs to do this. It could be already slightly damaged from the environment or styling tools like a hair dryer, curling iron, or flat iron. The next step will be the true start of properly achieving the darker shade that you want, adding some natural honey or caramel tones to balance it out. Unless you are going super dark like black, which you must keep in mind, cannot be reversed the next day safely. Once you commit to dark, you have to let your hair breathe for a little while before even thinking about going light again because this could literally make your hair break off and there is no going back from that. After you have completed the “going darker” process, try to wait a few days before you wash your hair to avoid anything harsh that can be found in some shampoos that can also strip the color away. You have worked so hard to get here, and you do not want to ruin it because of one wash, do you? It is suggested that you wash your hair just a few times per week while making sure you are using a great conditioning mask to attempt to heal and repair any damage. 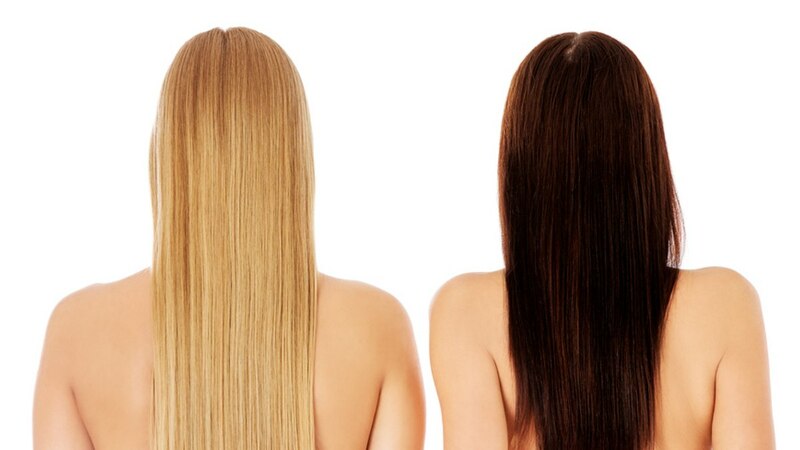 Once you have gotten the dark color that you completely want, if you are someone with naturally lighter hair, you will be prone to roots and though coloring them at home may seem harmless, you are most likely wrong. Why? Because it is hard to pinpoint the exact color that your stylist has applied with a boxed color and that could leave your roots far darker than the rest of your hair, which you worked so hard to get perfect. 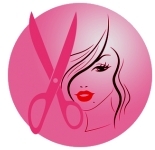 Expect to go every month for touch ups, which is great so that you can catch up on a deep conditioner or a trim, if needed, to avoid split-ends. So, just remember this: no matter if you have or have not colored your hair in the past, going from light to dark needs to be a professional process. You will be making just as a big of a commitment as going light, so be ready for the upkeep and the maintenance and to visit the salon a few times before you achieve the perfect color. Impatient? Maybe consider some overall honey and chestnut lowlights to get used to being on the dark side. There are so many amazing darker colors on the spectrum that you might become addicted to trying all of them and fortunately, your stylist will be more than willing to work with you to achieve the best possible outcome. Have fun, and welcome to the dark side!